visiting a lighthouse was another item i’ve put on the most recent 101 list, because it’s something i’ve wanted to do for a long time, but never really got around to. 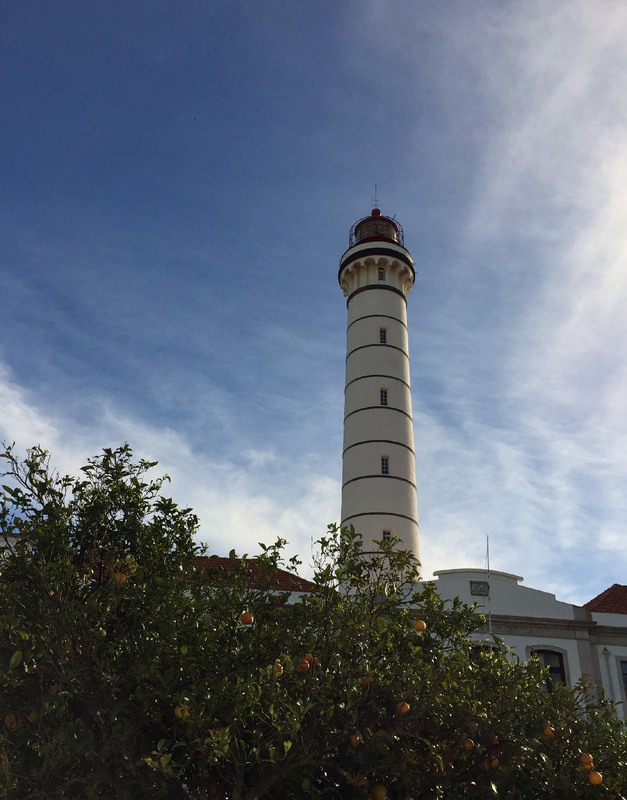 lighthouses in portugal are open on wednesdays afternoons though, and visits are free… so it was just a matter of finding the closest one and doing it! 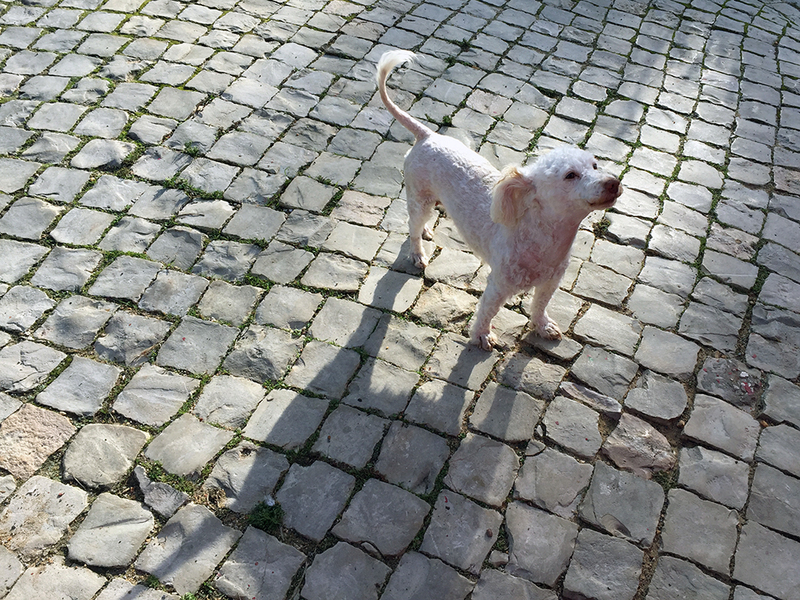 … which eventually let us in, after barking up a storm. we were the only visitors that wednesday, and the keeper showed us around with all the time in the world, patiently answering our questions and guiding our fingers away from the golden parts. the lighthouse was built in 1923 and is 40 meters high. 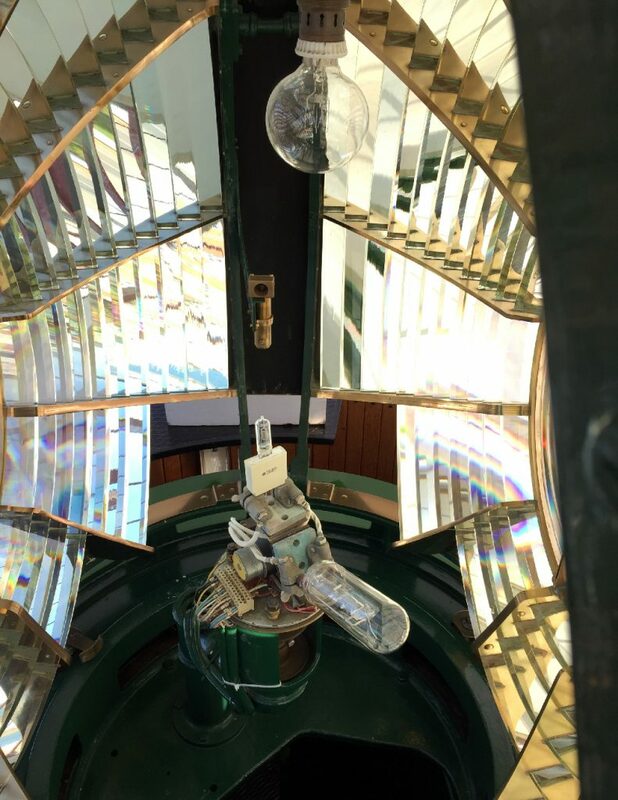 the fresnel lens is home to a 1000W lamp (the bottom one in the picture) and a lower wattage spare (on top), in case the main one stops working. 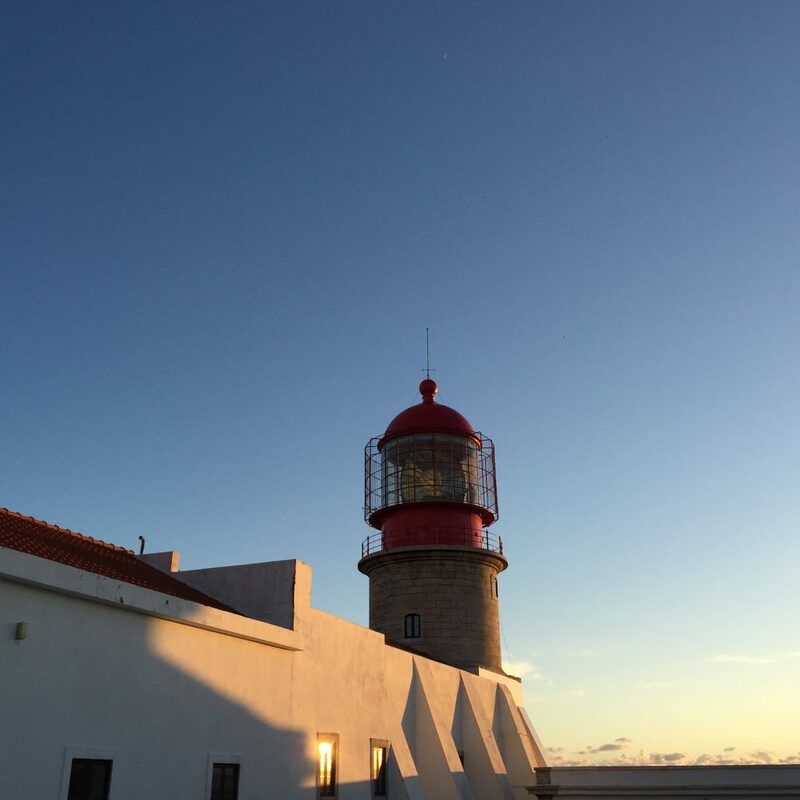 although st. vicent cape’s lighthouse isn’t as tall as the one in vila real, it’s a bit more important: this is where “europe ends”, the southwesternmost point in portugal, and the place where ships from the mediterranean start their journeys north. so it’s no surprise that it comes equipped with double the power (two mighty 1000W lamps) and a huge hyperradiant fresnel lens (one of the largest in the world). pretty cool! I wish we could have done this when I was there. I visited a few in Nova Scotia and Prince Edward Island this year. I love lighthouses.